Tom Berg and his daughter Colleen Skillings have a lot in common. They share the same hometown: New Ulm, Minnesota. They share the same interests: swimming, skiing, cooking and traveling. They share the same commitment to their community, which is evident from the myriad of ways they volunteer in their free time. 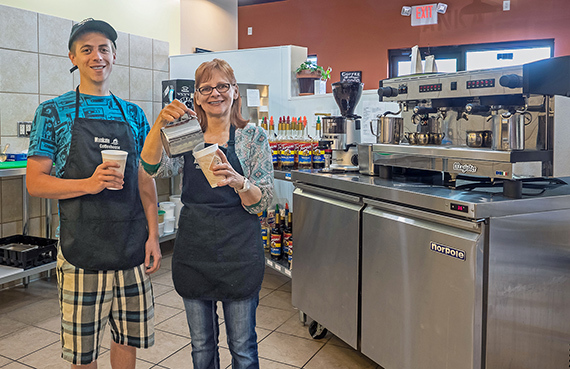 While Darla Manke just opened her new coffee shop in downtown Mankato in February, she’s actually a coffee pro by now. For Nikki Bremer, her job is all about helping people. The new business owner was born in Fairmont but graduated from Spirit Lake High School in Iowa in 1989 before attending North Iowa Area Community College in Mason City. The people of Fairmont have an idea about how to make their city a better place. Actually, the people of Fairmont have several ideas. Actually, the people of Fairmont have 1,686 ideas—and they’re still coming. All those ideas are part of “Project 1590,” a citywide project that has brought together everyone from city officials to local businesses to regular citizens. When it comes to running a successful business, you’ve got to find your niche. Sometimes, it’s creating a product that’s superior to those produced by your competitors. Sometimes, it’s by delivering that product more quickly and accurately.